At Huab Lodge you can take a plunge in the swimming pool or enjoy a wallow in the thermal spring. The natural thermal spring at Huab Lodge bubbles up out of the ground at about 60 degrees Centigrade and is maintained in the wallowing pool between 37 and 40 degrees . There is a cold pool next to it which is about 22 degrees. The thermal bath is located beneath a sweeping thatched roof below a typical granite koppje of the area. Deck chairs and pool beds welcome you to day-dream in this unique Namibian scenery, relax and look inside yourself or just watch the colourful birds at the birdbath. If the stresses of life leave you in need of rejuvenating, just give the lodge's Spa a visit. Our resident wellness therapist is professionally trained to minister to your needs and to make you feel better and his knowledge of a variety of techniques and oils assists in the treatment. Make your appointment directly with him and pay by credit card when you settle your bill. These treatments have proved extremely popular since their inclusion in the array of activities and can be another reason for wanting to stay longer at Huab Lodge. After a sumptious and leisurely breakfast, when you have had a little time for yourself, maybe to sit at the bird hide or soak in the thermal bath, you can go on a drive in the open vehicle. There are many different routes to take over the 8,000 hectare nature reserve into different scenic formations, into the rocky mountains or along the dry river beds. The sundowner drive will position you in a place with a great view to enjoy the setting sun with a mandatory gin and tonic or whatever your choice may be! The variety of wildlife and birds will delight the nature lover and the photographer alike. 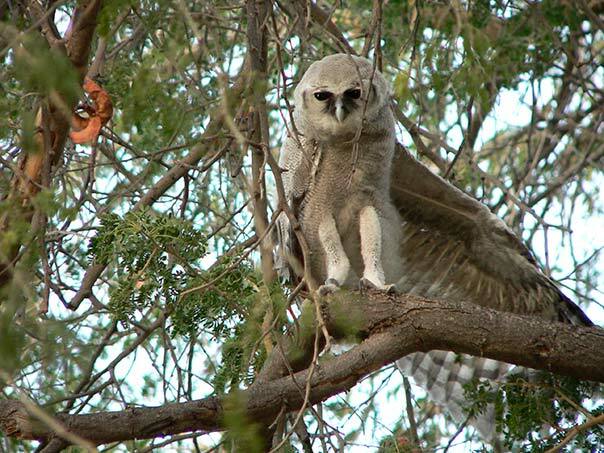 At Huab Lodge there are around 210 bird species of which 9 are endemic and near endemic. The best time to do walks is before the sun reaches its summit and in the late afternoon. Even in winter temperatures can rise to 30 degrees during the day. There are many walking and hiking trails around the lodge and you can feel free to walk anywhere, except between the bungalows to ensure everybody's privacy. Walking sticks are available as well as water bottles and hip bags. At Huab Lodge there are several more activities to do. Nowhere else in Namibia will you find more rock paintings than in the Damaraland Region. Some shards and old tools can be found that were used by the San people hundreds of years ago. If you are interested in stargazing just before the sun comes up is often a good time. Because of the remote location of the lodge there is no light pollution at night whichgives you the opportunity to have a better view of the stars than anywhere else in the world. There is a telescope available so you can take a look at Saturn's rings or Jupiter's moons or wonder at the bright colours of the Jewel Box in the Southern Cross. So many photographers come to Namibia to experience and photograph its vast landscapes and pristine scenery. And it is the same for the birds. Not only bird watchers but bird photographers come to Huab Lodge to take pictures of some birds you won't find as easily anywhere else. Make use of the hide just below the main house to take pictures of some special bird species.